We are the University at Buffalo’s only all-female a cappella group. Since our establishment in 1996, we take pride in representing UB and have shown the world what an all-female a cappella group can achieve. We are passionate about empowering not only our members but women everywhere. 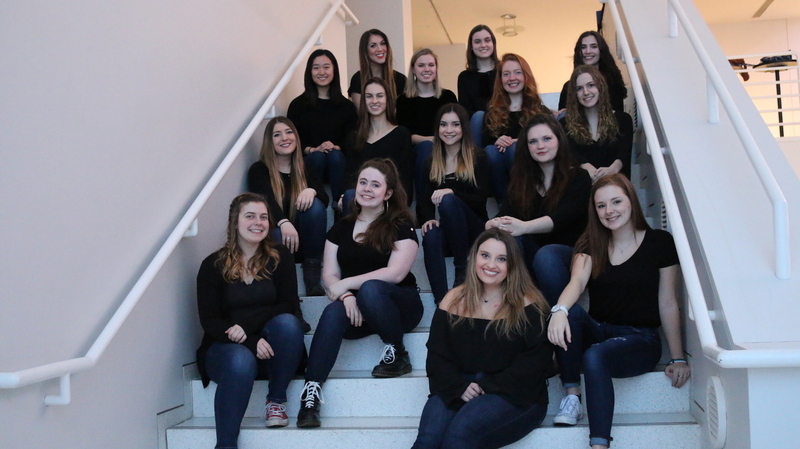 We have one concert each semester and perform at events such as UB’s Take Back the Night (a walk to end sexual violence), sporting events, orientations, and commencement ceremonies. Some of our most notable performances include opening for UB’s Distinguished Speakers John Legend, Hillary Clinton, and Former President Barack Obama. There are many other events that we can be found singing at throughout the year. Be sure to check us out on Facebook, Instagram, and YouTube to see what we’re up to!